Dickey's BBQ. I have been to Dickey's several times and really like it.I first went in the early 90's to their place in Dallas.To me this place is just as good. I will grant you I dont think they smoke meat at the store.I think its smoked elsewhere and brought here.I think its the best example of Texas bbq you will find in the Chicagoland area.Love the brisket. 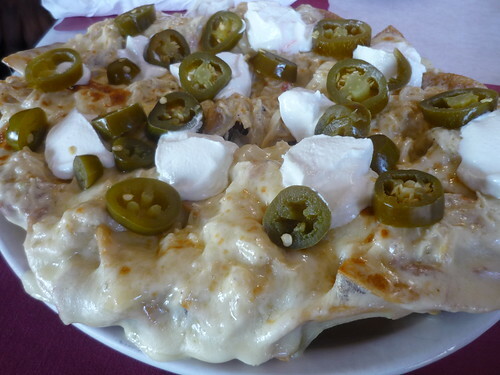 DKriv wrote: Has anybody here ever been to El Taco Mariachi in Highland? 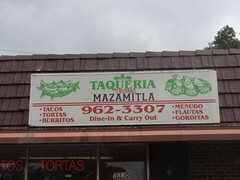 I just found out about this restaurant today, and I'd like to hear something about it before I try it. Thanks. I'm pretty sure this place is closed. I haven't been by in quite some time, but I tried calling a few weeks back, and the phone has been disconnected. I recently found their FB page, but nothing's been posted to it since November. I've gotta do a little more homework on this, but from what I understand, this place has seemingly reopened (same location and phone number), but it's now called "Maria's Buena Cocina." Here's a photo of their tortilla soup. Does anybody know any more about this? 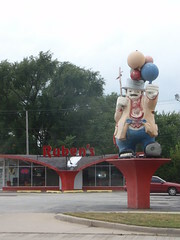 I used to like the tacos at Ruben's, when they were Arman's. Not sure if they are the same thing now. 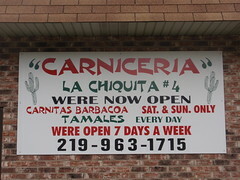 They weren't like anything you would normally expect at an authentic Mexican joint, but they had a very enjoyable unique flavor of their own that I don't think I've ever seen anywhere else. Where is Ruben's? I have never heard of it. I'd like to invite y'all to my little corner of the culinary world here at Bub's BBQ in DeMotte, IN. 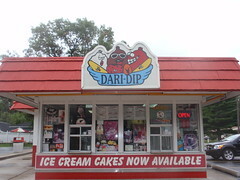 I've been at this location a little over a year now and have been in business about a year and a half. I'm a very small facility and have been carry-out only since day one, however we are in the process of putting in a few seats (4-6 total for now). I do all the traditional BBQ favorites, ribs (St. Louis style), pulled pork, beef brisket, and chicken. All are dry-rubbed and sauce on the side. I lived outside of Kansas City for 2 years, and that is where I learned my "craft". All my sides are made fresh daily and are my own recipes. I do all the cooking and smoking and prep myself. We've been fortunate to get some great comments from our customers and have people who drive 2 hours or more to come to my place. I'm a relatively new business and I've been fortunate to be doing well, but always appreciate any support and patronage I can get. Please stop by, or give us a call and say you saw us on the LTHForum. I'd love to show you how we do BBQ down here in DeMotte. My buddy (and fellow LTHForum member) Phil Wingo introduced me to this site, so a big shout out to you brother. Thanks for letting me be a part of your foodie community. I look forward to getting involved. 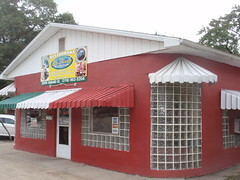 BubsBBQ wrote: I'd like to invite y'all to my little corner of the culinary world here at Bub's BBQ in DeMotte, IN. Thank you, I'll make a note of it. I'll have to check your place out next time I head south on 231, I love good BBQ. 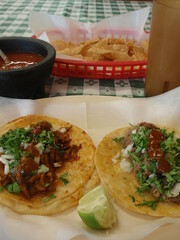 DKriv wrote: I've gotta do a little more homework on this, but from what I understand, this place has seemingly reopened (same location and phone number), but it's now called "Maria's Buena Cocina." An article about Maria's appeared in one of our local papers recently. The Post-Tribune usually leaves articles on their website for only a month, so enjoy it while it lasts. I like the fact that they only use fresh, quality ingredients. 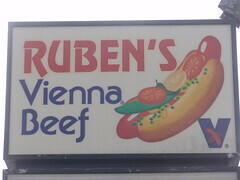 dbrick59 wrote: Where is Ruben's? I have never heard of it. 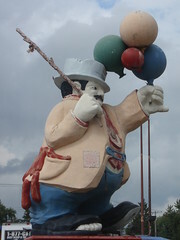 Just for the roadside art, there is a reason to stop by. Had a reuben at Ruben's last month. The corned beef itself won't win any prizes but everything was put together with care. The meat got a bit of griddle time, bread came nicely toasted, kraut was judiciously applied, the cheese properly melted, and everything came together better than it had any right to. A pretty enjoyable sandwich, especially considering its price of $4.20. Also tried a reuben at Super Submarine in Hammond. This thing was a monster but unfortunately it didn't taste all that great. Massive quantities of cold industrial-grade corned beef and unmelted cheese don't make a good reuben in my book. Super Sub sells potica (nut roll), heavy on the golden raisins but not a bad version. I keep wanting to like this place even after two somewhat unsatisfying visits so might actually give it one more chance. Maybe a meatball or sausage sandwich? Rene G wrote: I keep wanting to like this place even after two somewhat unsatisfying visits so might actually give it one more chance. Maybe a meatball or sausage sandwich? I've been to this place dozens of times when I couldn't make it down to Lincoln's. And I'm still "wanting" to like it too. It's not good enough to love, but not bad enough to totally dump. Utility-grade food at its finest. If I was at 169th and Kennedy and wanted a sandwich for lunch, the first place I'd go is Bread Basket. Warning: crappy hours, and when Purdue-Calumet is in session, long lines between 11:30 and 1:00. 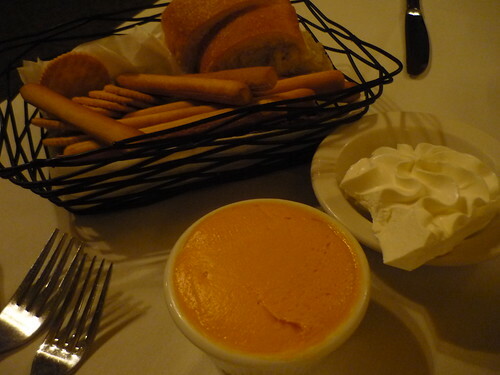 I've already sung the praises of the Bread Basket on LTH in the past, but I agree that it's really a hidden gem in NWI. Also, phone first. They will happily take orders over the phone and have your stuff waiting when you get there. The only reason I have never gone to Bread Basket is their hours: Tuesday thru Friday 10:00am - 4:00pm. 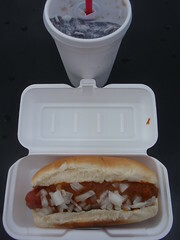 Even Hot Doug is open on Monday and Saturday. It is very rare I am in NWI on a weekday during those hours. I'd try it, based their menu, but those are crazy-stupid hours. They are hours for a place that doesn't care about staying open. Cogito wrote: I'd try it, based their menu, but those are crazy-stupid hours. They are hours for a place that doesn't care about staying open. Or you have a line out the door waiting for your food like Hot Doug's. Their menu and pricing is very attractive. 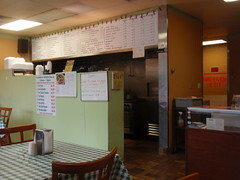 Or hours of a quality lunch destination within walking distance of Purdue-Calumet. Their hours are crappy, but other than being inexplicably closed on Mondays, they mirror the times when the largest numbers of students and faculty are on campus. I suspect this is one of the main reasons that Super Sub has been able to stay around so long. It sure isn't the stellar quality of their food. 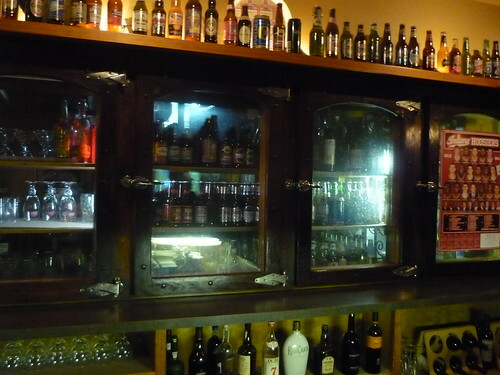 Au contraire, they're a local institution that has been in business for going on 25 years now. As others have already pointed out, the Bread Basket does it's business during lunch hours and it does so quite sucessfully. Not only are they popular with nearby students they also service a lot of local, nearby business employees. And don't forget that a lot of NWI residents still do shift work, so again those sort of business hours aren't all that inconvenient. 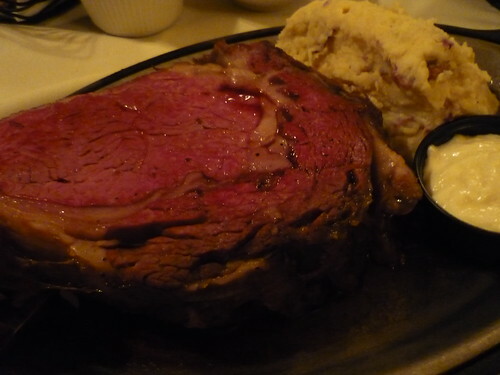 Had a really nice pre-dad's day "linner" (ate at about 3:30 this afternoon) at the Lighthouse in Cedar Lake. The NWI area is somewhat lacking in "nice" places--meaning celebration/date-worthy spots--and I was pleasantly surprised by the Lighthouse. Situated on Cedar Lake with a lovely view, nautical themed and well furnished, good service and more than passable food, especially considering the location. Good lobster bisque (a special), crab stuffed shrimp, wedge salad--nothing fancy but enjoyable. If in the area, worth a stop. I dont know where "Chicagoland" ends in the Northwest Indiana region or if this post belongs elsewhere but since this is such a useful thread and has stuff from Michigan City in it, why not here? Supper Clubs are a big part of Wisconsin cuisine but they extend throughout the Midwest. 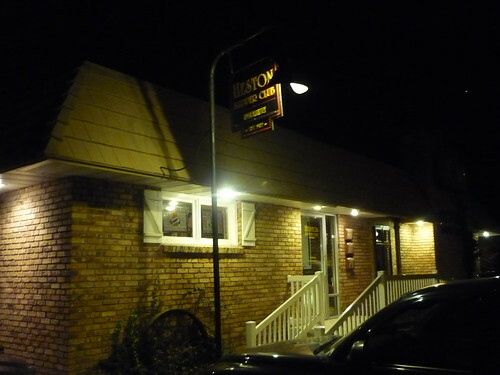 Take the Heston Supper Club in LaPorte Indiana as example. Moderate size store selling Produce,Deli counter,and a Meat counter that just opened. I believe there was previous ane of international market grocery store there before that failed. 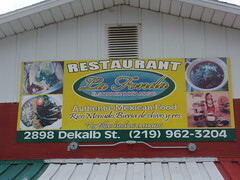 This place seems to be operated by Latinos. Produce department is large with lots of variety and really good prices. Examples..Bananas .39lb,Jalapenos .49lb,Avocados .50each. I picked up a whole pineapple for 1.50 that was actually ripe and smelled like a pineapple as opposed to those flavorless greenish things that usually sell for at least twice as much and never seem to ripen correctly. If you're just driving by Adrians you probably wouldn't look twice. 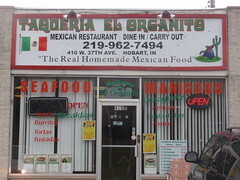 It looks like pretty much every other sit down restaurant in the area from the outside and it's got the looks and feel of a NW Indiana restaurant on the inside. Da Beef wrote: Available everyday for $2 each these were as big as theirs but stuffed with a wetter more seasoned blend of ground beef. Good although not quite up to par with the other guys across the border. There's just something about that hot sauce. did Loncars again last night, might as well check this place out tomorrow(Friday) night. 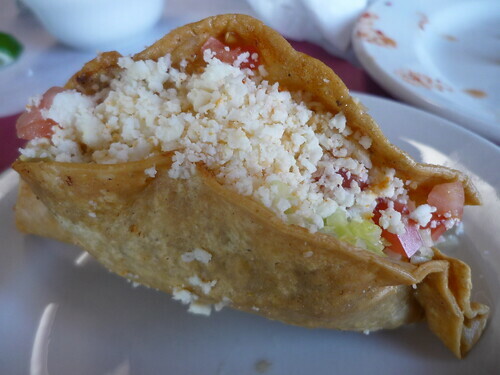 I have not had a real deep fried taco in over a decade. I used to live on the East Side and there was a place on the corner of Ewing & 106th st. that made them.Long gone. 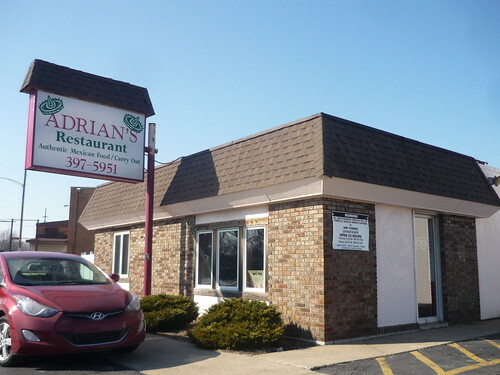 Thanks for the heads up on Adrians Lounge , its actually not that far from me. I can continue my burrito quest and get some 'real taco's' at the same time. 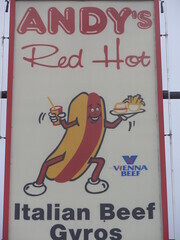 Villa Nova has a location in Chesterton Indiana...near Indiana Dunes. 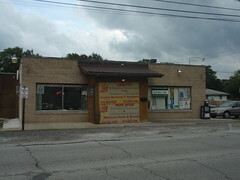 Same famous thin crust pizza as the Stickney IL location. 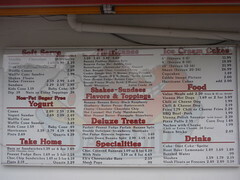 The Chesterton location is a bit more upscale and has a full menu of other items.